Elizabeth Arden Eight Hour Cream is the legendary, award-winning skin protectant that does more than soothe sun-burned skin, rehydrate chapped lips, and heal rough elbows and calluses. This product is also the secret that makeup artists all over the world use for keeping legs, lips and eyelids shiny, eyebrows in place and cuticles perfectly manicured. Protects skin from drying wind, central heating and air conditioning. Softens rough, dry cuticles to keep them smooth and supple. Helps to relieve mild sunburns. Perfect to calm skin after shaving or waxing. Boosts skin hydration during airplane flights. Simply smooth directly on with fingertips whenever needed. Avoid contact with eyes. Petrolatum 56.8%,Lanolin, Mineral Oil, Fragrance, Salicylic Acid, Propylparaben, Castor Oil, Corn Oil, Tocopherol, BHT, Iron Oxides. This formula has been around for decades for a reason. 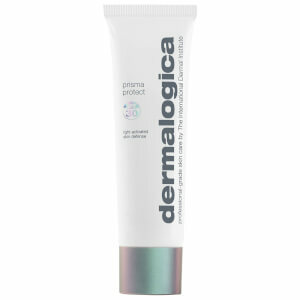 It is a great balm that works on lips, hands, cuticles or feet. Just be sure to use sparingly as it is somewhat like vaseline. My husband even uses this on his lips at night before going to bed. We leave it out on the counter and share it. This is a fantastic all round product. Great for any skin issue, whether dry or spotty. I use on my family for sun burn, dry patches, chapped lips, nails etc. I use as an extra skin boost applied to clean skin at night and wake up with radiant skin. Personally feel too sticky to wear under make-up though. Product protects from the harshest, coldest environment. Cycling at 45 degrees and below with a wind chill of 10, skiing extreme temps, no chapping, dry skin, or redness. Skin stays supple and moisturized. This is a perfect outdoor woman's product. You can stay young looking and enjoy the outdoors, even the harsher conditions are accommodated by this product. Lasts a long time on your face, neck and chest where I use it the most. Hands are good too, but the value to me is using it above the neck. Ok to use it with your favorite sunscreen. The best way to use this product is to apply it to a clean face, rinse with water, pat dry, let absorb into skin. It seems to provide a base radiance before applying make-up. Also it does have some kind of healing properties on wounds. Because I like trying new products and the fact I am 76 years old, I am always looking for a new product. However, I always find myself going back to my old-time favorite Elizabeth Arden Eight-hour Cream when I run out of it.. Eight Hour Skin Cream Protectant heals chapped lips, moisturized chafing or peeling skin, soothes dermatitis rashes, and softens elbows, knees, and any other place it's applied. If applied to bug bites, the anti-inflammatory effect kicks in instantly, and this helps alleviate itching and pain. This is a classic that continually comes in handy, and it always works wonders. I have been using this cream on my hands to help make them look younger and they do! I'm using it on my feet, too and they are less calloused looking and softer. It is rumored that this is also a great lip treatment, but it smells a little medicinal, so I haven't gone there, yet! This is my first review. I have been using this cream on my hands and feet at night. My skin is looking younger, but still needs to be moisturized throughout the day. It has a medicinal smell, so I mix a little scented moisturizr with it and it goes away. This is great for a quick fix for chapped lips, too! It's greasy until fully absorbed (rub it in for a full 5 minutes or more). I will keep it on hand!